First, because no Western government � sadly including the Bush administration � has any intention of taking serious action against Iran, even though everyone knows that Iran is directly responsible for killing thousands of Iraqis and hundreds of Americans, Brits, and other Coalition soldiers and civilians. Lacking any defined policy, we can only judge the president and his aides by their actions, and there aren�t any, aside from the occasional speech or offhand remark at a press conference. The mullahs see that, and treat it with the contempt it deserves. We are currently indistinguishable from the Europeans, who run whenever the Iranians snarl at them. I have been saying the same thing for a long time now .... I even predicted that this would happen if Bush won re-election a year ago, despite evryone else' insistance on their pipe dreams being true. # First, because no Western government � sadly including the Bush administration � has any intention of taking serious action against Iran, even though everyone knows that Iran is directly responsible for killing thousands of Iraqis and hundreds of Americans, Brits, and other Coalition soldiers and civilians. # Finally, Western reporters in Iran are rightly afraid to report things that are damaging to the regime. They know that they can be expelled, or, as in the case of a Canadian female journalist who dared to look into the dark labrynths of contemporary Iran, brutally killed. To take the nuclear "question" first: Anyone who believes that Iran is not on a crash program to build atomic bombs need only listen to the Iranian leaders speaking to their own people. On September 15, for example, there was a meeting at the defense ministry in Tehran, involving the defense minister, Mostafa Mohammad-Najjar, and the heads of the Basij and Revolutionary Guards � the bloodiest arms of the regime. Right after the meeting, a young journalist reported on the official Jam-eh-Jam TV that Mohammad-Najjar had said that it is Iran�s "absolute right to have access to nuclear arms and that we must stand up to any pressure from the international community." Immediately following the televised report about "nuclear arms," the broadcast network was disconnected. Shortly afterwards, Minister Mohammad-Najjar appeared on a radio broadcast for an interview about the meeting and attempted to whitewash his original remarks by stating the official disinformation that Iran "has the right to pursue a peaceful nuclear program for economic and energy purposes." Journalists are less inclined than ever to report such things (you can be sure that the young man who told the truth about the nuclear program will not become the country�s new Edward R. Murrow), now that the regime has intensified its already infamous campaign against dissidents and the misnamed "minorities" (in reality, Persians constitute less than half the population). Reporters Without Borders recently expressed alarm over the recent arrests of four Kurdish journalists: Madh Amadi, Ejlal Ghavami, Roya Tolou, and Said Saedi. Only Ghavami has had a trial, and both Ghavami and Amadi are on hunger strikes. And the country�s most famous dissident journalist, Akbar Ganji, is back in prison after the mullahs reneged on a promise to release him if he ended his hunger strike. At the time of his hunger strike, Ganji had received public support � and the regime had been publicly excoriated � by numerous world leaders, including President Bush and U.N. chief Kofi Annan. But there has been no such rage at the mullahs� latest lying trickery. These arrests are only a small piece of the intensified repression that characterizes the post-election Islamic republic. For example, in late August and early September there were mass arrests in the (mostly Arab) province of Khuzestan in the southwest. At least 260 prominent citizens, including lawyers, doctors, teachers, students, journalists, and human-rights activists have been rounded up. This follows the infamous crushing of a peaceful demonstration this past April, when security forces killed more than 60 men, women, and children, and arrested thousands of others. The regime has been similarly aggressive internationally, threatening to withdraw from the Non-Proliferation Treaty if the EU appeasers dared to send the nuclear question to the U.N. Security Council, and, with a frequency and intensity that warrants our attention, threatening to attack the United States. Indeed � obviously believing everything they read in the New York Times or watched on our madstream television � the mullahs celebrated both the damage done by Katrina and the alleged ineptitude of the Bush administration�s response. With an America so weak and divided, the mullahs intoned, Iran could wreak devastation on every state. As I predicted after the elections, the regime is now showing its fangs, both at home and abroad. I have no doubt that the professional analysts in the State department, the intelligence community, and the National Security Council are presenting a soothing interpretation of these events, arguing that there is a new "administration" in Tehran, and it will take a bit of time before they tone down their rhetoric and come to terms with reality. But this assumes that the Iranians are capable of understanding reality, and that we are capable of understanding them. The record to date suggests both assumptions are false. The mullahs are altogether capable of deciding that events are now running strongly in their favor, and that they should strike directly at the United States. They look at us, and they see a deeply divided nation, a president who talked a lot about bringing democratic revolution to Iran and then did nothing to support it, a military that is clearly fighting in Iraq alone, and counting the days until we can say "it�s up to the Iraqis now," and � again based on what they see in our popular press � a country that has no stomach for a prolonged campaign against the remaining terror masters in Iran, Syria, and Saudi Arabia. Osama bin Laden came to similar conclusions, and ordered the events of 9/11. Why should the Iranians � who have been major supporters of the terror network ever since the 1979 revolution � not do the same? Many Iranians have come to the conclusion that their country is a dangerous place, and they are running. A significant number of former officials have left Iran for infidel countries in the past few weeks and months. The former minister of culture, Ayatollah Mohajerani, has gone to London, along with the former mayor of Tehran, Mohammed Hassan Malekmadani. Mohsen Sazegara, a founder of the Revolutionary Guards, is now in Washington. Mohammed Taghi Banki and Cyrus Nasseri, until recently high-ranking officials, have gone to Austria. And these are the lucky ones, because they have managed to escape the Islamic republic. Within the cauldron, the purge continues, as I have suggested it would. Ten members of the Khorassan judiciary have been forced to resign. The commander in chief of the army is gone. Payman Forouzesh and Golmohammad Baqeri, both members of the last parliament, have resigned, as has Mohammed Mirlohi, the deputy minister of legal and parliamentary affairs. Other resignations and departures are likely to follow in short order; a friend of mine who knows a great deal about the affairs of banks in the Persian Gulf tells me there is an unprecedented flow of private money out of Iran to places like Dubai, Abu Dabhi, and Qatar. This exodus does not bespeak either a tranquil country or a regime confident of its internal power, especially against the background of the massive repression now under way. It rather suggests a regime that knows it is hated, and intends to stay in power by crushing anyone in its way, both at home and abroad. It is reminiscent of the final days of the Nazi regime, when the Fuhrer in his bunker swung wildly between megalomaniacal dreams of miraculous world conquest, and deep depression, alternately purging his old guard and promoting incompetent underlings to positions of great power. It may well be that the mullahs are torn between wild fear of America, and a fanatical conviction that they can finally destroy the great Satan. If, as I fear, they are either very close to, or actually possess atomic bombs, it might help explain their manic moments, and enable them to tell themselves that America would not dare attack a nuclear power. Our policymakers have thus far utterly failed to design anything worthy of the name of an Iran policy, even though it is arguably the single most important challenge we face. National Security Adviser Stephen Hadley recently answered a question about Iran policy by saying that we did indeed have a policy, but we hadn�t yet written it down. This is reminiscent of the old riddle of whether a falling tree makes a sound if no one is there to hear it: can there be a policy if nobody can define it? This is not a war on terror, it is paralysis at best, and appeasement at worst. The hell of it is that it is costing thousands of lives, and will cost many more until the terror masters are destroyed, or we surrender. Those words were inconceivable for many years, but it is a sign of our present fecklessness that they are now entirely appropriate. We can still lose this war. And we cannot win it so long as we are blinded by our potentially fatal failure of strategic vision: we are in a regional war, but we have limited our actions to a single theater. Our most potent weapons are political and ideological, but our actions have been almost exclusively military. Our main enemy, the single greatest engine in support of the terror war against us, whether Sunni or Shiite, jihadi, or secular, Arab or British or Italian or Spaniard, is Iran. There is no escape from this fact. The only questions are how long it will take us to face it, how effective we will be when we finally decide to act, and how terrible the price will be for our long delay. Can you say "Lame Duck". IAEA today adopted resolution to refer Iran to UN Sec council. Both Russia and China abstained, India voted yes. Can you say, "It's a good day for ducks." ????? Lool! I think that Bush, by his crafty display of passivity toward the regime, might actually have lulled them into overplaying their hand. As with Saddam and his bluffing on the WMD issue, in their exuberance the regime leaders are motivating key opponents and discouraging potential allies. It's a strange fact that evil people are somehow constrained to act stupid as well. Saddam and Hitler are good examples, but the IRI regime folks are increasingly fitting the stereotype as well, one expects to see them wearing villains' mustaches right out of classical American melodrama. Michael Ledeen's most recent NRO column provides an alarming round-up of news and his own cogent analysis of the problem that will not go away: "Iran bubbles over." It's a must-read. I think that Bush, by his crafty display of passivity toward the regime, might actually have lulled them into overplaying their hand. Bush has never really had an Iran policy he could commit to. He had an Iraq policy and that was his only policy, which he has totally screwed up. But I will let this rest, since these debates distract from the Iran Biz at hand, and obviously we disagree. Bottom line, the situation is bad. Very bad. Iran Walking Into a Trap? As the drumbeat of war gets louder in Tehran it is, perhaps, time to wonder whether President Mahmoud Ahmadinejad�s new administration is not walking into a trap partly of its own making. Over the past week or so Iranian officials at various levels have made a number of statements that could harm Iran�s interests at a difficult time. Many had hoped that Ahmadinejad would use the opportunity provided by his presence at the UN General Assembly in New York to offer a way out of the diplomatic impasse over Iran�s alleged nuclear ambitions. Ahmadinejad�s speeches and interviews represented an improvement over his predecessor Muhammad Khatami, a mulla, who amused UN audiences by trying to show off his knowledge of Hobbes and Hegel. Unlike Khatami, Ahmadinejad did not pretend to be what he is not, that is to say a liberal democrat. Instead, he spoke as a radical Islamist revolutionary representing a radical Islamist revolutionary regime. Nevertheless, Ahmadinejad committed a mistake by making no distinction between rhetoric and real politics. 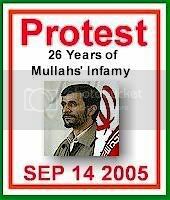 Before Ahmadinejad arrived in New York many in the UN saw Iran as a poor developing nation being bullied by big powers on spurious grounds. Ahmadinejad replaced that image with one of a cocky midsized power trying to punch above its weight regardless of the consequences. That impression was subsequently strengthened by sermons in Tehran by the �Supreme Guide� Ali Khamenehi. Meanwhile, various officials have been acting as loose cannons. That the administration was out of sync was further illustrated by Manuchehr Mottaki, the new foreign minister, who told European Union colleagues that Ahmadinejad�s tough speech at the UN should be taken with a pinch of salt. A similar message was relayed by the Islamic Republic�s ambassadors at the UN, and in London, Paris and Berlin. Ahmadinejad�s braggadocio has also inspired editorial writers in Tehran who, now that the radical faction is in control, are trying to renew their revolutionary credentials. One way of doing so is to call for the withdrawal of the Islamic Republic not only from the NPT and OPEC but also from the United Nations. At the same time, mullas working for the government have seized Ahmadinejad�s warlike language to heat up the situation further. In a speech in Qom last week, one such mulla, Ayatollah Nasser Makarem Shirazi, claimed that it was Iran�s mission to lead a global revolution and �liberate� the world in the name of the �Hidden Imam� whose birthday was celebrated on Sept. 21. To add to the confusion, former President Hashemi Rafsanjani has been touring the region at the head of a 30-man delegation that included two former foreign ministers, a former minister of intelligence and security, and several political mullas. Rafsanjani, who heads something called The Expediency Council, behaved as if he, and not Ahmadinejad, were the president of the Islamic Republic, and tried to engage his embarrassed hosts on issues outside the remit of his current job. Rafsanjani is not alone in this game of make-believe. Khatami, who also appears to have difficulty in getting used to the idea of Ahmadinejad as president, has spent the past few weeks touring the provinces to address small anti-Ahmadinejad crowds as if engaged in a presidential election campaign. Part of this bizarre situation may be due to Ahmadinejad�s inexperience in politics at national and international levels. Ahmadinejad�s lack of experience in international affairs is compounded by the fact that the Islamic Republic�s media and foreign policy establishments are filled with members or at least sympathizers of the Rafsanjani-Khatami faction. The Islamic Republic�s diplomatic service has never been politically neutral, partly because few of its members are career diplomats. Politicians and mullas could become ambassadors, or even foreign minister, while ambassadors could resign their diplomatic positions to stand for election in local or national contests. A mulla who has served as ambassador could leave diplomacy to become Friday prayer leader in a province. Ahmadinejad knows that the diplomatic service, together with the rest of the administration, is filled with foes who regard him as an intruder if not a usurper. But he would need time to place his own men in key positions. By pushing Ahmadinejad, and with him the Islamic Republic, into a major international crisis, the defeated faction pursues a number of objectives. Finally, Ahmadinejad�s failure could ensure his faction�s defeat in the parliamentary elections in two years� time, enabling the �rapacious vultures� to stage a comeback. The negative impact of the war noises made in Tehran is already felt in the economic domain with a fall in the value of the rial, Iran�s currency. This is all the more surprising because, thanks to record high oil prices, Iran is earning over $200 million a day in foreign exchange. Many business contracts have been frozen while even small companies and private citizens are transferring as much of their capital as they can to foreign banks and offshore funds. A nation�s foreign policy is a continuation of its domestic politics; and the Islamic Republic is no exception. While the Islamic Republic�s foreign enemies wish to force it into isolation, Ahmadinejad�s domestic foes are cheering him on his way into a diplomatic trap. Ahmadinejad seems to believe that he can take on the Western powers, led by the United States, in a limited conflict, and defeat them thus becoming a national hero and a pan-Islamic knight riding the steed of history in triumph. That is a juvenile illusion that could wreck Ahmadinejad�s presidency before it finds its cruising speed. The irresponsible policy of the IRI in respect to the nuclear issue has created a present and real threat to the territorial integrity and national interest of the Iranian people. Subsequent to the fraudulent election of last summer, Mahmood Ahmadi-Nejad�s appearance at the UN was another catastrophic performance. Of course some people believe he did a great job representing the true nature of the anachronistic and archaic regime that has ruled Iran for the past quarter of the century. But the fact remains that never in the history of the United Nations any so-called national leader has caused so much shame and embarrassment for his country. His total lack of understanding of the significance of the occasion was apparent from the instant that he began speaking. His entire speech was void of any significant policy statement. Instead, for the most part, it represented a second rate composition authored by a mediocre high school student. What his speech lacked in elegance and wisdom was compensated for with vituperate denunciation of the United States, Israel and other Western countries. The most embarrassing moment came at the end when he pleaded and prayed for the �speedy appearance of the 12th Imam who disappeared in 873 AD but is supposed to return as the Mahdi (messiah) and according to Ahmadi-Nejad, �only when he returns the world shall see real peace and justice.� Never before has anyone expounded such sectarian religious superstition from the podium of the General Assembly of the United Nations. 1. Creation of mass hysteria within the country by spreading the fear of imminent military attack by the United States. This is to create national chauvinism and xenophobia aimed at Americans, the Europeans and westerners in general. 2. Using religious superstition and mass indoctrination among the less educated masses of the urban poor in order to mobilize them against the middle class and the more educated elements of the population while exploiting mass hysteria for recruitment of suicidal volunteers. 3. Internationally by refusing reasonable proposal of the EU-3 and assuming an aggressive international posture, doing everything in its power to provoke diplomatic and military confrontation. No democratically elected government bound by accountability to its constituents would dare assume such irresponsible postures jeopardizing national interest of the nation. Since the Iranian people within the country for decades have been denied all the basic and rudimentary safeguards of human rights, there is no way that the dissatisfied citizens of Iran can express their dissent. The concerns of the international community about the nuclear programs of the Islamic Republic of Iran, and the response by the Iranian regime to these concerns, have resulted in a tense and dangerous situation detrimental to the stability and peace in the Middle East and far beyond. We as concerned Iranians of diverse political outlooks and tendencies wish to express our common positions on this vital international issue and plead for international understanding and backing of these positions. 1. We firmly believe in the inalienable right of the Iranian people to acquire and exploit nuclear technology and know-how for peaceful purposes. 2. We regard proliferation of nuclear weapons as a major threat to the world peace, and support the international Non-Proliferation Treaty and other peaceful international initiatives for controlling the spread of nuclear weapons. 3. We regard the nuclear weapons as weapons of mass destruction whose use are morally deplorable and legally indefensible, and support all international efforts for nuclear disarmament and the elimination of all nuclear weapons. 4. We condemn the clandestine nuclear activities of the Islamic Republic of Iran in the past, and call for and support full transparency of Iran�s nuclear programs. 5. We are suspicious of the true aims of the Iranian regime in its nuclear program, and share the concerns of the international community in this regard. We are of the opinion that in the absence of a democratic system in Iran, and with the stated aims and intentions of the Islamic Republic, it is incapable of securing the trust of the international community in its nuclear program. 6. We are of the opinion that a halt in the enrichment program in Iran would not harm Iran�s capability in the nuclear industry. Iran has a great pool of expertise and know-how in the nuclear industry both inside and outside Iran, and in a democratic Iran these can be called upon to work on a transparent nuclear program for peaceful purposes. 7. In the circumstances and in order to alleviate the international concerns about Iran�s nuclear program, we support the call by the European Union led by Britain, France and Germany for a complete halt to the enrichment program in Iran in exchange for the supply of all necessary materials and technology for Iran�s nuclear power program. 8. We strongly oppose any military intervention in Iran and regard such action as detrimental to democracy in Iran and peace and security in the region, and plead to the world community to channel all its resources through the Iranian democratic opposition for change in Iran rather than through the military means. 9. We firmly believe that democratic change in Iran is the best guarantor for solving the international impasse over Iran�s nuclear program. We call on the international community to support the Iranian people�s campaign for democracy and human rights as a means of solving the nuclear program issue. Just because the US doesn't advertize its Iran policy, doesn't mean it has none....or simply defers it to others. Think about it for a minute....would it be in the interests of "muscular Multilateralism" to do so? Why give the IRI our thinking regarding the next moves in this chess game? No I know it pretty well leaves the opposition in the dark somewhat, and generates a bit of criticism to do so, but when you consider that allowing Antar to make a bloody idiot of himself at the UN had the effect of gaining support among nations to bring the IAEA to the resolution reached yesterday...what Rasker is refering to is the effect of reverse psycology. There is a strategy in place....has been for a number of years regarding Iran....Iraq is a part of it....essential to it in fact. Serving to not only "bookend" the IRI with flegling democracies, but has through the IRI's actions in that theater of the war on terror, exposed their manipulations and intent. Cause and effect. You said recently you "hoped I was right" , well...do some reading of the posts I've put on this board....and judge for yourself if I have been...consistantly. Now what's coming up is going to be determined by how the IRI reacts, not just in word, but by the actions they take, or don't take. If they wish to make good on their threats, then the epoxy of nation's opinion will set hard against them. Even harder than it has. Rasker gives me a bit of feedback on my "horrible puns" on occasion...(chuckle)...but when I said the IRI was caught "between Iraq and a hard place" I was more accurate than just the physical aspects...a double entandre.....illuminating strategy. This following bill is now before the Foreign Relations committee of the Senate. It has a large number of co-sponsors, after having been introduced in Feb 2005 and may be subject to ammendment, given the changes of situation in Iran for the worse. This is just one aspect of the policy at work, and this is not the complete bill as introduced...but this is a section of it that is relevent to your concern voiced here. (1) The people of the United States have long demonstrated an interest in the well-being of the people of Iran, dating back to the 1830s. (2) Famous Americans such as Howard Baskerville, Dr. Samuel Martin, Jane E. Doolittle, and Louis G. Dreyfus, Jr., made significant contributions to Iranian society by furthering the educational opportunities of the people of Iran and improving the opportunities of the less fortunate citizens of Iran. (3) Iran and the United States were allies following World War II, and through the late 1970s Iran was as an important regional ally of the United States and a key bulwark against Soviet influence. (4) In November 1979, following the arrival of Mohammed Reza Shah Pahlavi in the United States, a mob of students and extremists seized the United States Embassy in Tehran, Iran, holding United States diplomatic personnel hostage until January 1981. (5) Following the seizure of the United States Embassy, Ayatollah Ruhollah Khomeini, leader of the repressive revolutionary movement in Iran, expressed support for the actions of the students in taking American citizens hostage. (6) Despite the presidential election of May 1997, an election in which an estimated 91 percent of the electorate participated, control of the internal and external affairs of the Islamic Republic of Iran is still exercised by the courts in Iran and the Revolutionary Guards, Supreme Leader, and Council of Guardians of the Government of Iran. (7) The election results of the May 1997 election and the high level of voter participation in that election demonstrate that the people of Iran favor economic and political reforms and greater interaction with the United States and the Western world in general. ( Efforts by the United States to improve relations with Iran have been rebuffed by the Government of Iran. (9) The Clinton Administration eased sanctions against Iran and promoted people-to-people exchanges, but the Leader of the Islamic Revolution Ayatollah Ali Khamenei, the Militant Clerics' Society, the Islamic Coalition Organization, and Supporters of the Party of God have all opposed efforts to open Iranian society to Western influences and have opposed efforts to change the dynamic of relations between the United States and Iran. (10) For the past two decades, the Department of State has found Iran to be the leading sponsor of international terrorism in the world. (11) In 1983, the Iran-sponsored Hezbollah terrorist organization conducted suicide terrorist operations against United States military and civilian personnel in Beirut, Lebanon, resulting in the deaths of hundreds of Americans. (12) The United States intelligence community and law enforcement personnel have linked Iran to attacks against American military personnel at Khobar Towers in Saudi Arabia in 1996 and to al Qaeda attacks against civilians in Saudi Arabia in 2004. (13) According to the Department of State's Patterns of Global Terrorism 2001 report, `Iran's Islamic Revolutionary Guard Corps and Ministry of Intelligence and Security continued to be involved in the planning and support of terrorist acts and supported a variety of groups that use terrorism to pursue their goals,' and `Iran continued to provide Lebanese Hizballah and the Palestinian rejectionist groups--notably HAMAS, the Palestinian Islamic Jihad, and the [Popular Front for the Liberation of Palestine-General Command]--with varying amounts of funding, safehaven, training and weapons'. (14) Iran currently operates more than 10 radio and television stations broadcasting in Iraq that incite violent actions against United States and coalition personnel in Iraq. (15) The current leaders of Iran, Ayatollah Ali Khamenei and Hashemi Rafsanjani, have repeatedly called upon Muslims to kill Americans in Iraq and install a theocratic regime in Iraq. (16) The Government of Iran has admitted pursuing a clandestine nuclear program, which the United States intelligence community believes may include a nuclear weapons program. 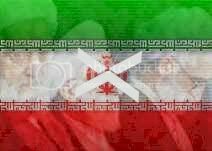 (17) The Government of Iran has failed to meet repeated pledges to arrest and extradite foreign terrorists in Iran. (1 The United States Government believes that the Government of Iran supports terrorists and extremist religious leaders in Iraq with the clear intention of subverting coalition efforts to bring peace and democracy to Iraq. (19) The Ministry of Defense of Iran confirmed in July 2003 that it had successfully conducted the final test of the Shahab-3 missile, giving Iran an operational intermediate-range ballistic missile capable of striking both Israel and United States troops throughout the Middle East and Afghanistan. SEC. 302. DECLARATION OF CONGRESS REGARDING UNITED STATES POLICY TOWARD IRAN. (2) to actively support a national referendum in Iran with oversight by international observers and monitors to certify the integrity and fairness of the referendum. SEC. 303. ASSISTANCE TO SUPPORT DEMOCRACY IN IRAN. (a) Authorization- The President is authorized, notwithstanding any other provision of law, to provide financial and political assistance (including the award of grants) to foreign and domestic individuals, organizations, and entities that support democracy and the promotion of democracy in Iran. Such assistance may include the award of grants to eligible independent pro-democracy radio and television broadcasting organizations that broadcast into Iran. (6) supports freedom of the press, freedom of speech, freedom of association, and freedom of religion. (c) Funding- The President may provide assistance under this section using amounts made available pursuant to the authorization of appropriations under subsection (g). (d) Notification- Not later than 15 days before each obligation of assistance under this section, and in accordance with the procedures under section 634A of the Foreign Assistance Act of 1961 (22 U.S.C. 2394-l), the President shall notify the Committee on Foreign Relations and the Committee on Appropriations of the Senate and the Committee on International Relations and the Committee on Appropriations of the House of Representatives. (2) coordinate among the appropriate directors of the National Security Council on issues regarding such matters. (B) draw international attention to violations by the Government of Iran of human rights, freedom of religion, freedom of assembly, and freedom of the press. (g) Authorization of Appropriations- There is authorized to be appropriated to the Department of State $10,000,000 to carry out activities under this section. SEC. 304. REPORTING REQUIREMENT REGARDING DESIGNATION OF DEMOCRATIC OPPOSITION ORGANIZATIONS. Not later than 15 days before designating a democratic opposition organization as eligible to receive assistance under section 302, the President shall notify the Committee on Foreign Relations and the Committee on Appropriations of the Senate and the Committee on International Relations and the Committee on Appropriations of the House of Representatives of the proposed designation. The notification may be in classified form. This bill is probably dead in the water. Even tho it has a high number of co-sponsors, if nothing has moved on it in 8 months, its probably a sign that its stalled. This is a hardly a sign of policy at work. I know these things move slow, but I wouldn't hold this up as a shining example of policy movement. That being said, the House version has cleared the mideast subcommittee to get a vote from the full committee. I don't think it's "dead in the water" as you suggest...and it wasn't "movement" that I was trying to point to, but the general level of support. In any case, it is the President that determines foreign policy, in consultation with Congress, as they hold the purse-strings of government. He'll be the one signing it into law, once it's voted on....and I'm pretty certain it will pass. What I've read is that Bush has asked that the bill be put on hold in order not to conflict with the Euro 3 inititiative, but the bill can be passed and on his desk within a very few days from whenver he gives the go ahead. Bush and Condi are playing for keeps on this one, they are not showboating or making empty gestures. I'm hoping and assuming that things are being done in the background that might have a long lead time in case "assisted regime change" comes to the top of the options list. Been thinking that's the case Rasker, and why the US has given the EU3 the lead...why? Because consensus is needed in that "assisted" option...doesn't serve to work at cross purposes if the EU is trading with terrorists, and they have to come to that understanding for themselves, in an experiential way. 2 years on in the negotiations has pretty well convinced the EU that the US has been dead on correct about the regime for years now....and US work with Russia and China has given them a lot of food for thought to chew on....it's an interdependant world, what effects us, affects them. And so, today, it is not Iran vs. the US. It is Iran vs the world. I think back a year ago with the vast difference between EU position and the US position....IRI being able to drive a wedge....making the US look like the bad cop....well that's all changed....now it's a matter of how folks that are now in concurrance are going to multilaterlly deal with the threat the IRI poses to all. What are the options? diplomatic pressure is an ethical necessity, as war is a last option...but "assisted regime change" if you are meaning the support for the opposition necessary to obtain that goal....is a logical next step if the IRI remains intractible, or makes good on its threats. Sec council action w/ sanctions by the year's end is almost a given, unless the IRI does an about-face in its posturing. Not likely, in my opinion...given the idiots in charge. EU doesn't need UN resolution to apply sanction economicly, even before the next IAEA meeting, if it deems necessary. What was I saying in one of my recent posts?....there was going to be a lot of pissed of preachers .....(chuckle)....well, you ain't seen nothin' yet!